Click the image for a larger, zoomable version. 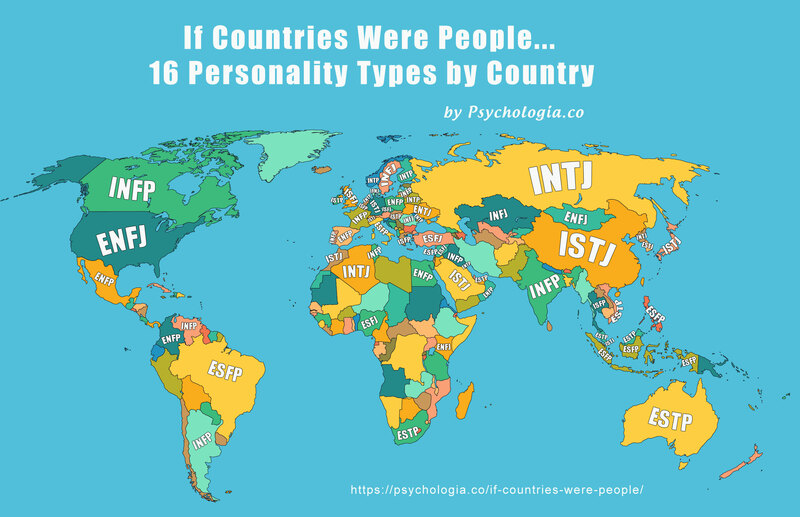 Have you ever wondered if countries were people, which of the MBTI personality types each country would belong to? We have. The above map is the result of our non-scientific assessment of each country’s personality based on personal interactions, lots of reading and consulting other type watchers. Unfortunately, we had to leave some countries blank simply because we don’t know much about them. You can share this on your website by copying the code below. Please do not hyperlink the zoomable version and link to this page instead.